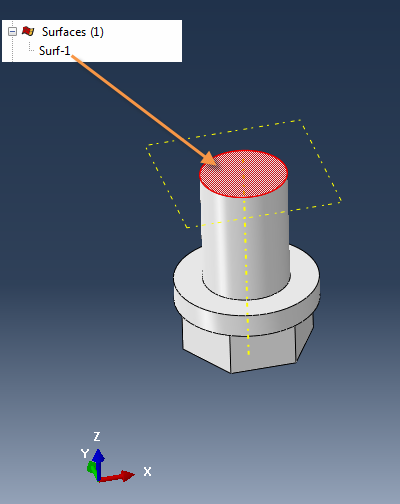 Abaqus CAE offers straightforward methods for manually applying pretension on bolts, as long as the number of bolts within a model is kept to a minimum. However in models incorporating a large number of bolts or bolted connections in general, manually applying bolt pretension can become tedious work and extremely time consuming. In such a case, applying bolt pretension with the use of a Python script can optimize efficiency, and this shall be demonstrated consequently. The used bolt model has been designed as one piece, including hexagonal nuts and washers. The dimensions used for this are non- standardized. 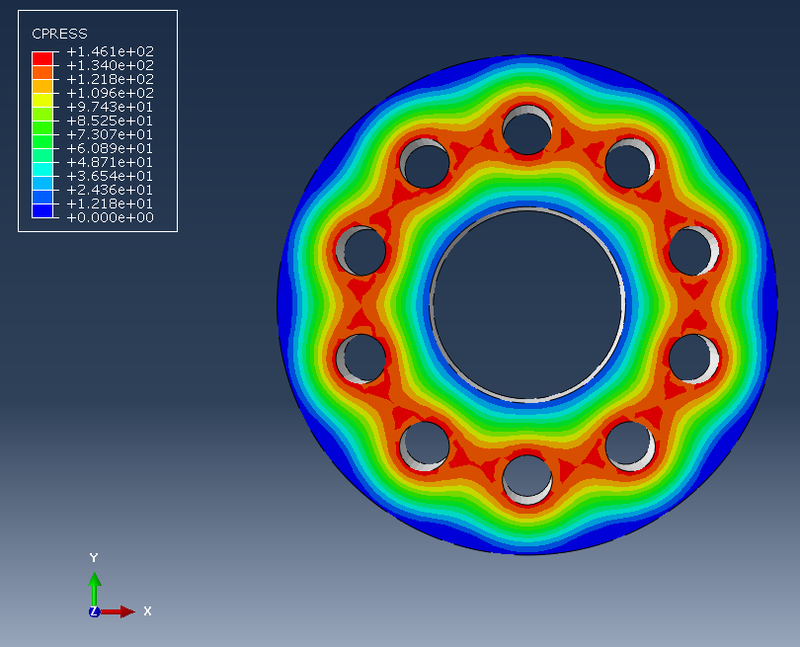 The used flange model can be seen below. 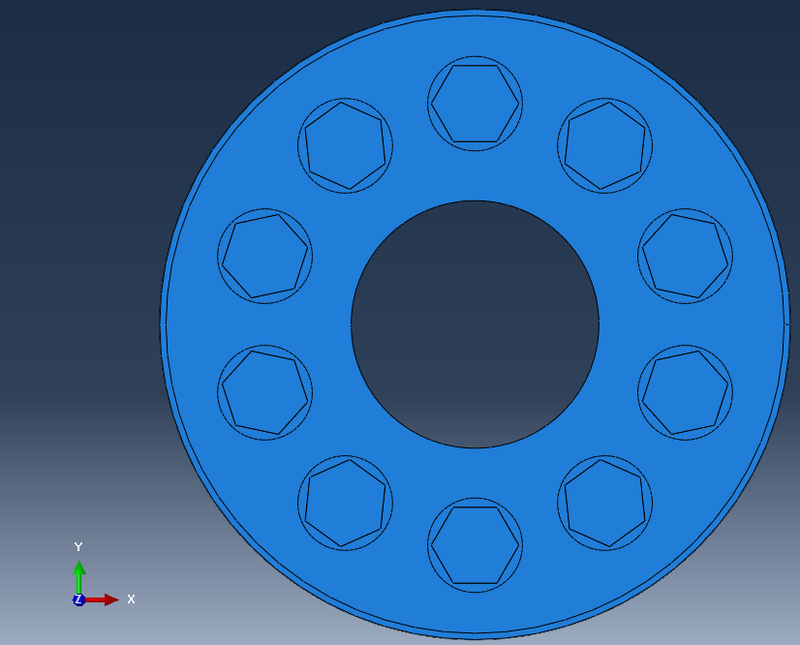 The bolt holes have a diameter of 20 mm. The assembly model is created with no gap between washer and flange. The total number of bolts used is 10. Make sure that the bolts are instances of one bolt part (e.g. using the create radial pattern button enclosed in red color box below). Also make sure that the naming is consistent (by properly naming the bolt part-see details below). 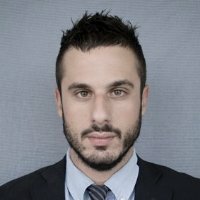 This ensures that the Python script will be successfully executed. 1. 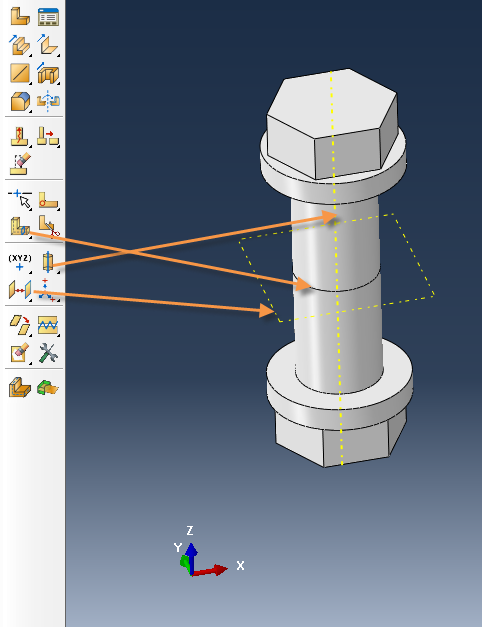 Create a datum plane half-way through the bolt shank and a datum axis that represents the axisymmetric axis of the bolt. 2. 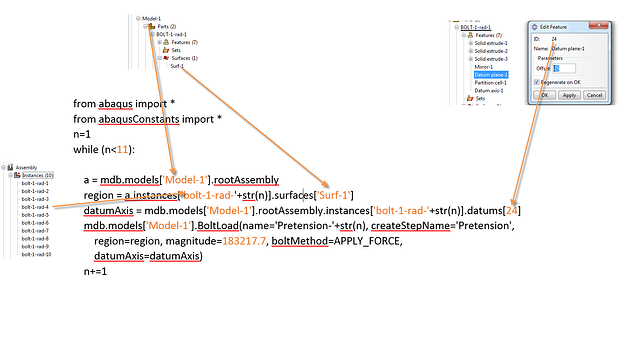 Create a cell partition based on the datum plane created in step 1. 3. 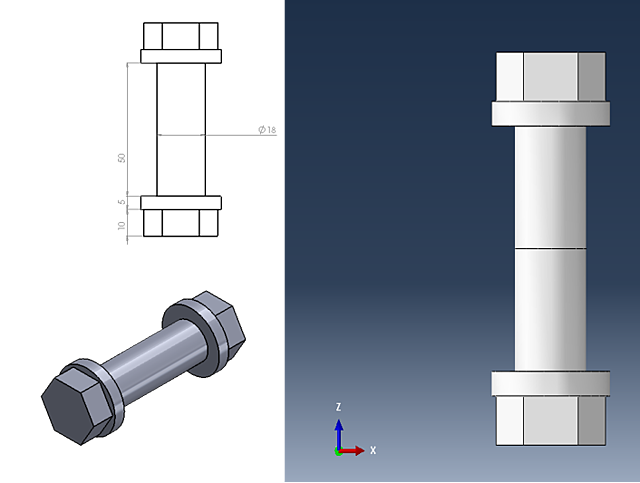 Create a surface (“Surf-1”) on the bolt-1-rad-1 part, halfway through the bolt shank, based on the partition created in step 2. 4. Create a static load step named “Pretension” after the initial step. The datum plane id can be found be double clicking on this feature. The pretension force magnitude (183217.7 N) is chosen based on the effective cross area of the bolt shank in order to inflict a stress of 720 MPa (80% of yield) upon the bolt. For automation purposes, the user can record a macro while completing all steps for creating a bolt load for a single bolt instance(e.g. bolt-1-rad-1) and modify this according to the problems needs. 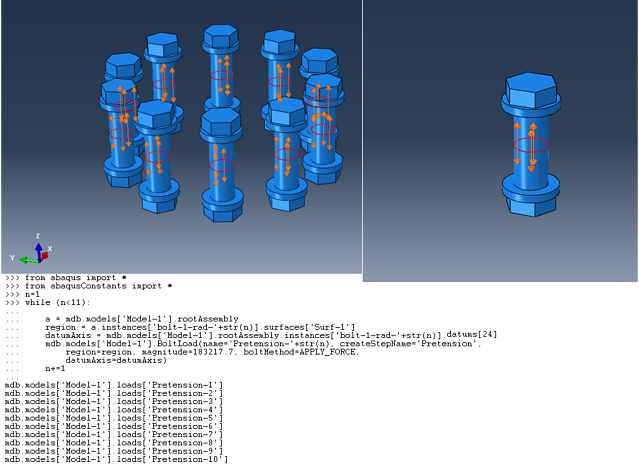 Additionally all the steps performed in this example, can also be found in a text format by viewing Abaqus replay file (rpy). Alternatively this script can be directly pasted in the command window within Abaqus CAE once all the above steps have been completed. 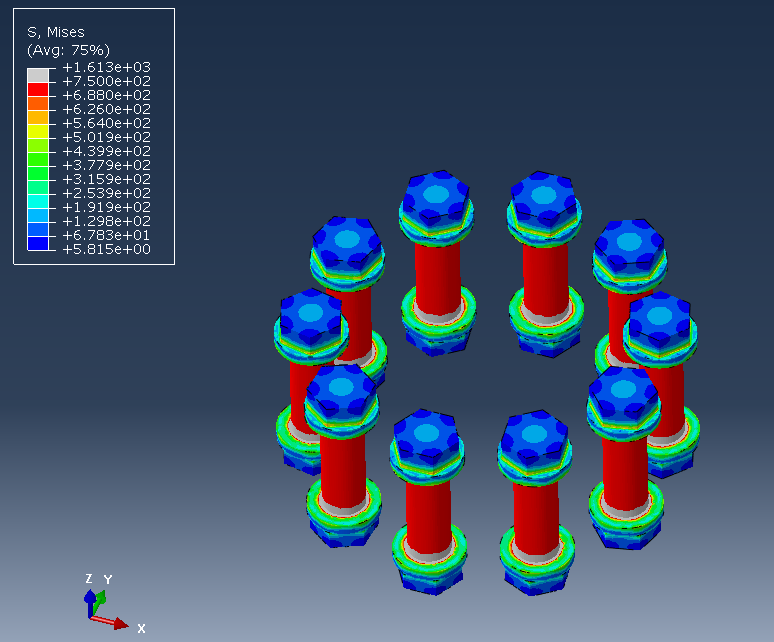 If done properly, the following will be shown within Abaqus CAE. Boundary conditions and loading should be applied according to the problem at hand. Then the job file should be created and run. In this particular example, no external loading is applied (apart of course from the pretensioning of the bolts) and the assembly is fully constrained (encastre) in its lowermost surface. 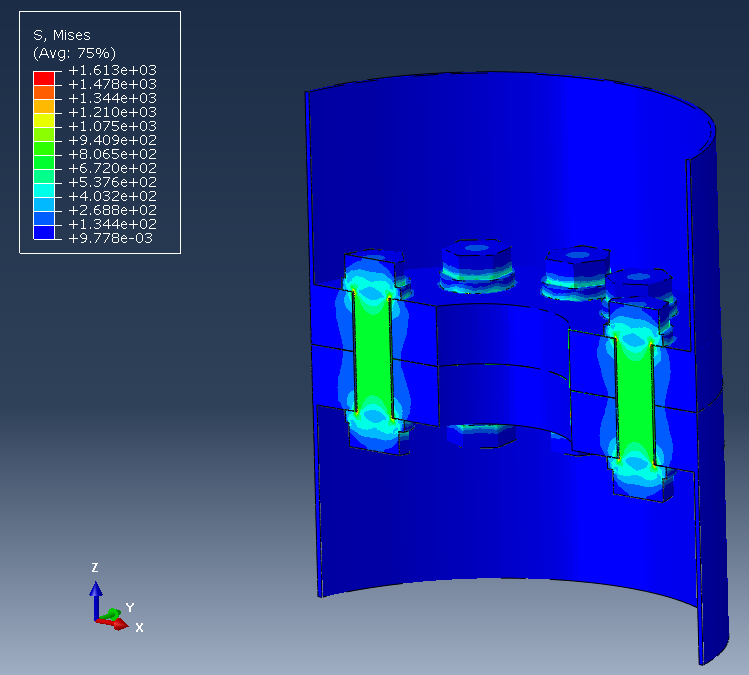 A contact pressure on flange surfaces screenshot can be seen below. The effect of pretensioning the bolts fades away as we move radially towards the interior or exterior of the assembly (green and blue regions). For the actual loads acting on the bolts as pretension, the value that we should validate against is 720 MPa (80% of Yield chosen as pretension load). And by modifying the contour limits so as to more easily validate against the value mentioned, we can clearly see below, that the bolt loads are properly applied since the bolt shanks of all bolts are under that target value stress. 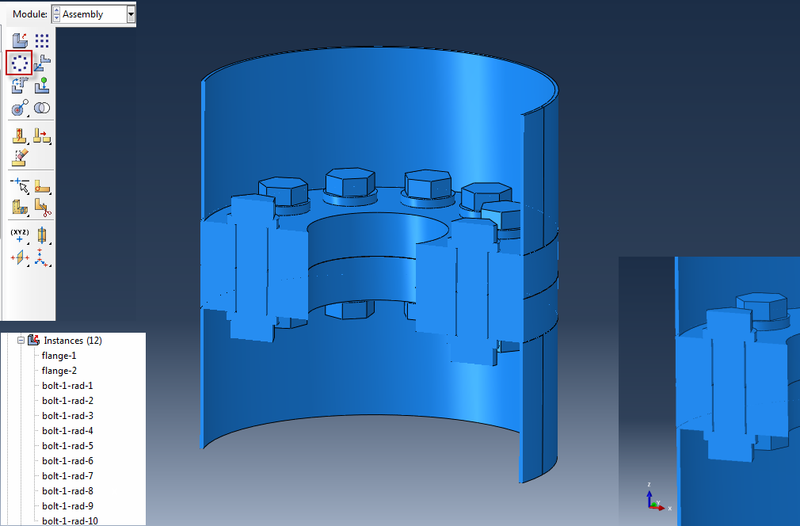 Are you dealing with bolts all the time, and want to let us do the work for you, or want to learn how to create scripts with Abaqus to automate tedious tasks?